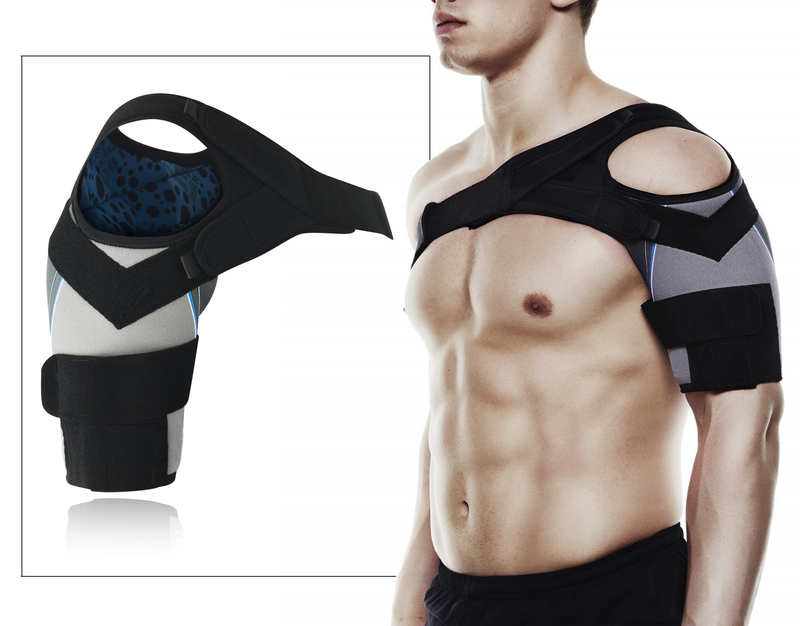 A shoulder brace is a wearable device that helps to immobilize and support the shoulder in order to heal from injury or trauma. It also provides needed compression to tissues, helping to prevent swelling while assisting in strengthening shoulder muscles during the healing process. Shoulder braces are usually made of waterproof nylon with neoprene straps and are specially fitted to conform to your body while providing the optimal amount of support. Some also provide heat to the muscle and tissue, helping to prevent swelling and offering relief from discomfort. When do you need Shoulder Braces? Prevent dislocation. By limiting the range of motion of the shoulder, a brace can help to prevent dislocation after the surrounding cartilage and tendons have been injured as well as after a previous dislocation. Surgical procedures. For pre- and postoperative surgical procedures, the custom shoulder brace can help to provide needed support for both the bone and muscle. This helps to speed up healing while ensuring that injuries don’t recur. Joint inflammation. Choosing a shoulder brace with heating ability can help to prevent inflammation of the joint as well as the surrounding musculature and tissue. Sports injuries. Many athletes experience strains on their shoulders that can be attenuated by helping to immobilize the joint, promoting the healing process while ensuring the injury is not repeated. At Healthmax Physiotherapy Clinics, we have the staff and expertise to provide custom shoulder brace fittings tailored to your specific needs. Contact us to book an appointment and learn how we can help you develop your own targeted health plan.